David Kim, the Democratic candidate for the primary election, which will be held on May 22nd, officially qualifies to run for U.S. Congress. March 8th, 2018, was a historic day for the Korean community and the citizens of the 7th Congressional District. David Kim, the son of hardworking Korean immigrants and education entrepreneur, is qualified to run for U.S. Congress. 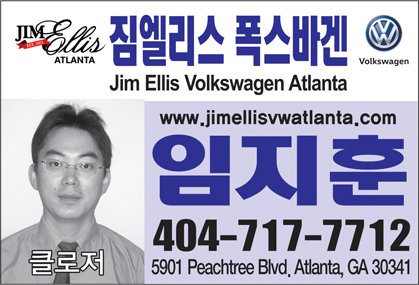 This was the first time for the Korean-American to officially qualify in Georgia to go on a journey to Washington D.C.
David Kim made some heartfelt remarks for his fellow citizens and the Korean community right off the bat. Nationally-recognized educational entrepreneur and innovator, David Kim is the Harvard-educated founder of a tutoring company---C2 Education---which he started in his college dorm room and now includes 180 centers across the nation. He helped educate over 50,000 students to realize their own American dreams as a go-to mentor, having created thousands of jobs across the nation. His educational expertise and entrepreneurship have been recognized in such publications as Forbes Magazine, Entrepreneur Magazine, and Inc Magazine. He also has contributed to serving his community by involving the board of the Washington Youth Foundation and as a commissioner for the Montgomery County Commission on Children and Youth. His educationally pro-business experiences manifest he is a natural fit for the Congress post because education in this nation is the key to the American dream and values for all citizens including the immigrant communities and the foundation to the economic future. To ensure the same opportunity and champion the idea that the American dream he experienced can be passed down to the next generation, that’s why he decided to run for the election. 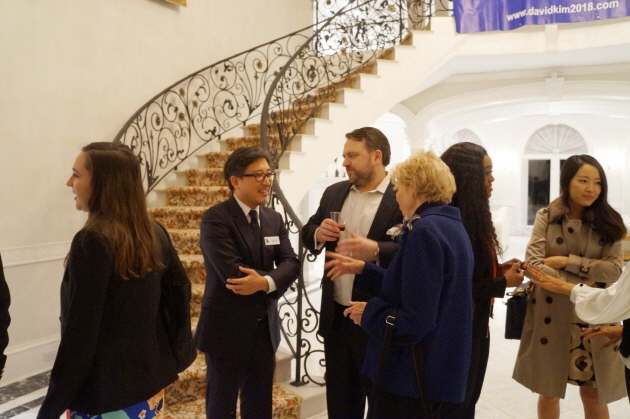 David Kim announced his bid for the U.S. Congress last June and he is expected to bring the same energy and innovation to Washington as a political outsider and consensus builder, keeping away from being a rubber stamp. He wants to cut down on the divisive rhetoric and hash out so many legislative compromises regarding immigration and health care policies. He wants to put Washington politics gone off-the-rails back on track. David Kim moved his family and company headquarters to Duluth in 2005 after falling in love with the community and potential of the area. 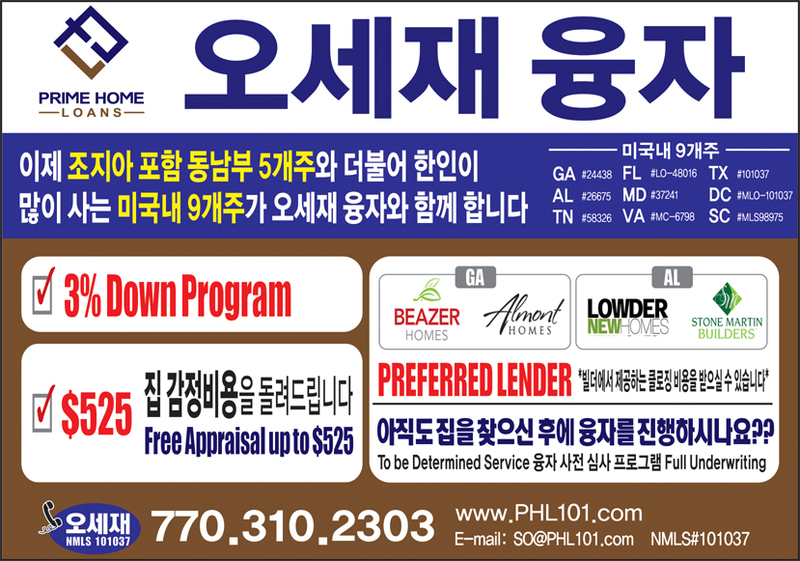 Over the past 13 years, he has seen tremendous growth---new homes, new schools, and new businesses. 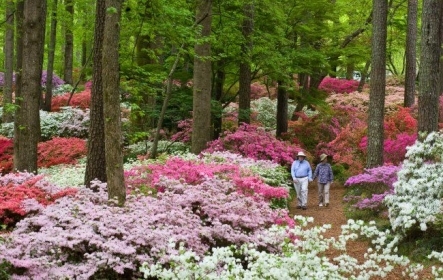 He is so proud to be a part of the diverse, vibrant, and successful area along with his wife MJ and lovely three kids. He wants to create a practical change in the area where he served, serves, and should serve his people. 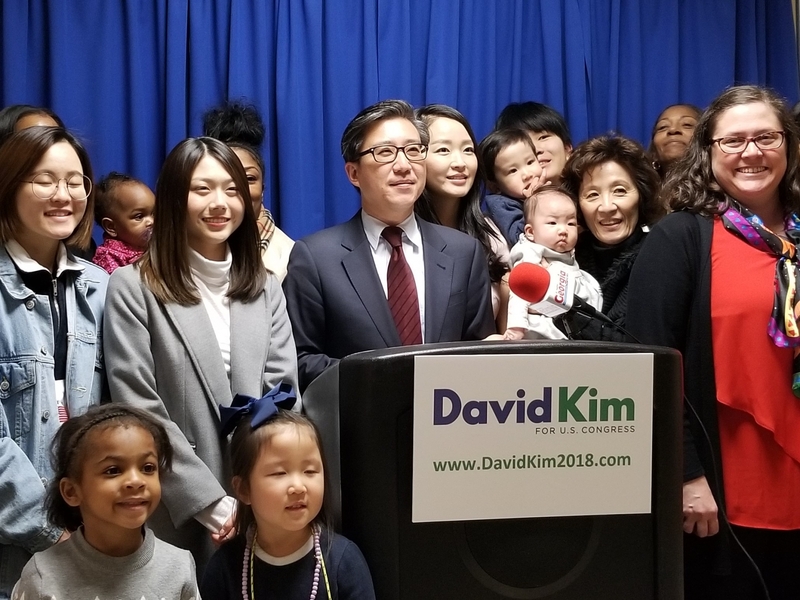 To ensure the same opportunity and champion the idea that the American dream he experienced can be passed down to the next generation, that’s why David Kim decided to run for the election. 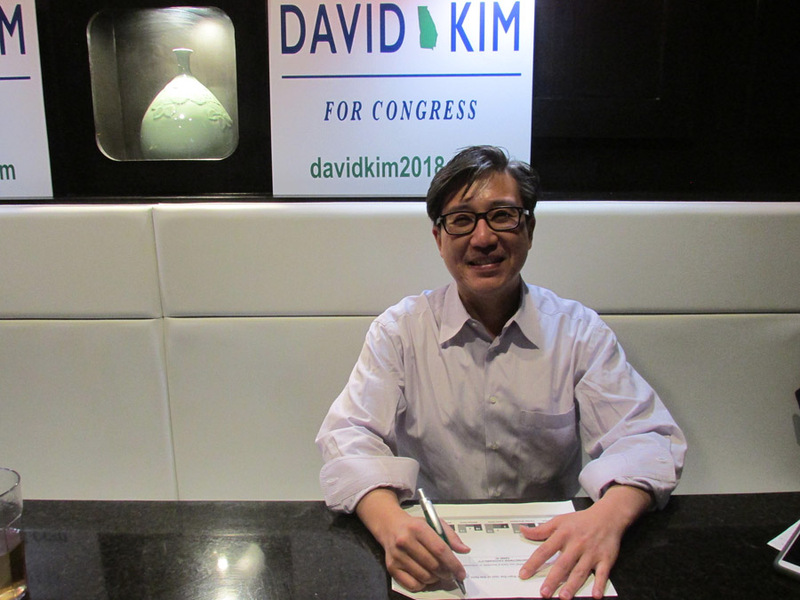 David Kim, the Democratic candidate for the primary election, which will be held on May 22nd, now officially qualifies to run for U.S. Congress. David Kim is listening to his supporters attentively.